New Belgium employee-owners work in shifts to brew to life world-class beers. Those efforts are rewarded daily with a shared end-of-shift beer. 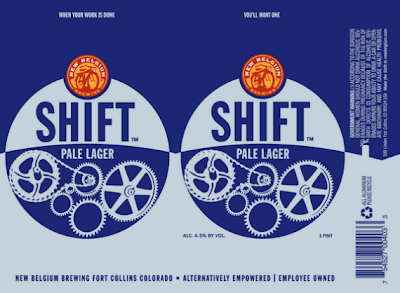 We’re passing that welcomed occasion onto consumers in this lightly-hopped Shift Pale Lager. From work to play, from bottle to can, from bold and heavy to refreshing and sessionable; Shift salutes the shift in occasion, package and beer. 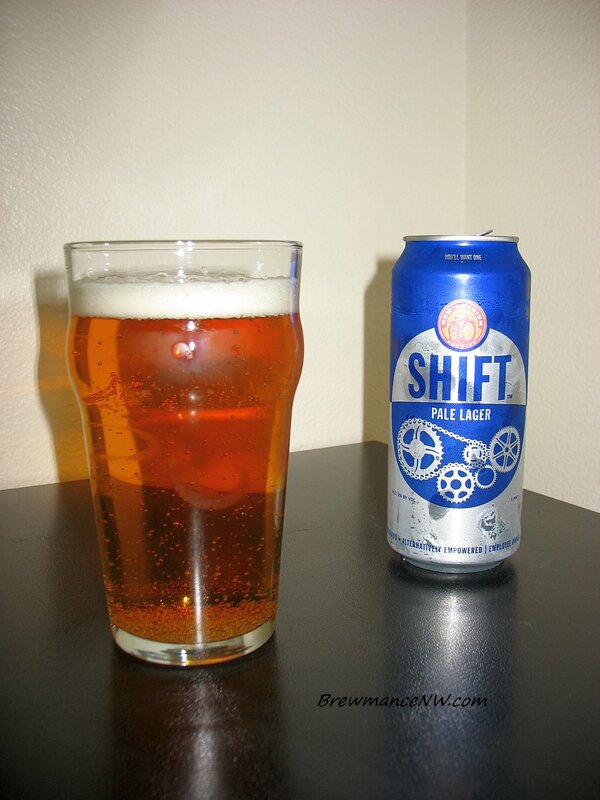 So, go ahead and get your Shift beer, you’ve earned it! Being Easter, The Fishers Landing New Seasons was about the only beer spot around that was open after I got off work. I never have tried this beer, and was impressed with a Spring Seasonal I had recently called Dig. This 4-pack of pint cans was under $8 so I thought that was a deal naturally. That New Seasons has a nice little beer selection. - Pours an ultra clear straw yellow bubbling lager. Couple fingers of white foaming head settle quickly to a chalky thin layer to remain. Overall a pretty standard looking craft lager. - Pretty balanced aroma. Crisp grassy hops, light floral and fruit notes. Sweet biscuity grain and common lager aromas. Nice grains and just crisp beer. Liking the smell. - Nice light bitter grassy and herbal hops with a nice little touch of zesty and spice. Balanced perfectly with a light bready sweet grain. This is a solid and refreshing drinker. - Light bodied, well carbonated brew with a slight spicy dryness and mouth watering quality. 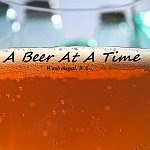 - This is a pretty simple review for a simple beer. But this beer is pretty damn good. Perfect for a hot day and as they have noted, perfect for after a shift of work. Very well balanced, and slightly better than other lagers due to their interesting and zesty combination of hops. This just proves that even the simplest of styles can still come out on top. My preferred beer style is pilsner; Bohemian slightly preferred over German. I am well into my 2nd 4pack of Shift Pale Lager pounders. At my first taste of Shift, I was a little put off by the Lemon-grass [I perceived] taste/aroma. I thought: not appropriate for a lager. [I now realize the hops are New Zealand Nelson Sauvins and the taste/aroma is lychee fruit] . But, my criticism quickly paled. After a 2nd or 3rd quaff, I thought: this is a nice sessionable, crisp, refreshing, thirst-quenching beer. NBBC has my business on this one. It will enjoy a fairly high rotation rate. I feel the same way. I usually don't buy a lot of their beers, but this one I will be. A little late to the party, but thanks for the review! And I am glad you like the Shift.